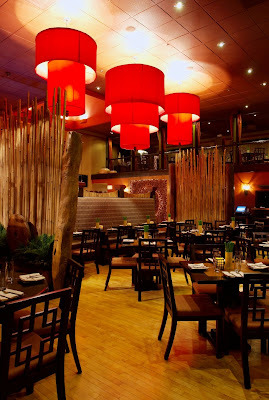 The big red lanterns hanging from the ceiling, the candles, the dim lights, and the soft Asian music create the perfect mood for dining. It is located at the heart of Redwood City, at the ex-Social Security building, and this past November 1 marked the first anniversary of the Red Lantern, the first pan-Asian restaurant in Redwood City, a growing city with potentials. 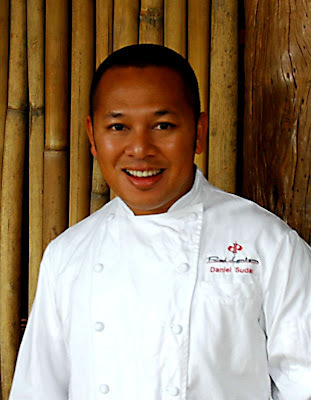 The Executive Chef of the Red Lantern, Daniel Sudar, was born in Kotagede, Yogyakarta, in the Java island of Indonesia. His late father was a silversmith and his mother was a successful caterer. Daniel's exposure to cooking started at his mother's kitchen. He admitted that watching someone’s pleasure over food drove him to pursue further study in culinary art. Graduated from California Culinary Academy in 1997 and after a chain experience to work with notable chefs, Chef Sudar was recognized by The San Francisco Chronicle with 3 stars. He later became the Corporate Chef at Radisson Hotel, Chef de Cuisine at Betelnut Restaurant and now the Executive Chef at Red Lantern Restaurant. Chef Sudar is the first Indonesian Chef in the San Francisco Bay Area who has successfully positioned Indonesian dishes in a pan-Asian restaurant to its own class. One of Sudar's proudest culinary moments occurred when he had the opportunity to cook for former President Bill Clinton in 2003. To achieve the complex, layered flavors of this cuisine, there can be no shortcuts. “Many Asian restaurants rely on a mother sauce, which they tweak for each dish,” explains Chef Sudar. “This approach can tend to make everything on a menu taste almost the same. At Red Lantern, each dish and its sauce are crafted from scratch, with unique ingredients that are true to their country of origin. 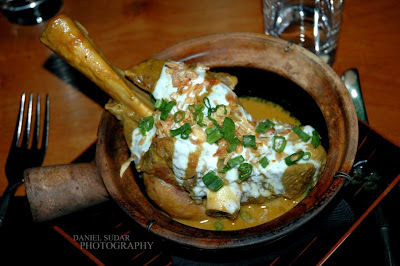 Diners can sample Chef Sudar's signature Gulai Kambing, an award winning spicy lamb shank curry based on century old family recipe served with cardamom yogurt souce. 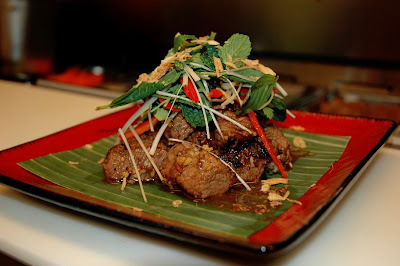 Other popular dishes are cambogee beef, which is wok tossed beef tenderloin seasoned with lemongrass, kaffir lime, galangal and fresh herb as well as rangoon Claypot, which is Chilean sea bass, oven roasted in claypot with wild mushroom, leeks and fermented black bean relish. There are a variety of specials created daily by Chef Sudar not only to create difference but to continue his own adventure in creating artful dining. Red Lantern restaurant is located at 808 Winslow Street, Redwood City, CA 94063, about 15 minutes south of San Francisco airport. It opens M-F for lunch and 7 days for dinner. You can check the place at the Red Lantern Website.